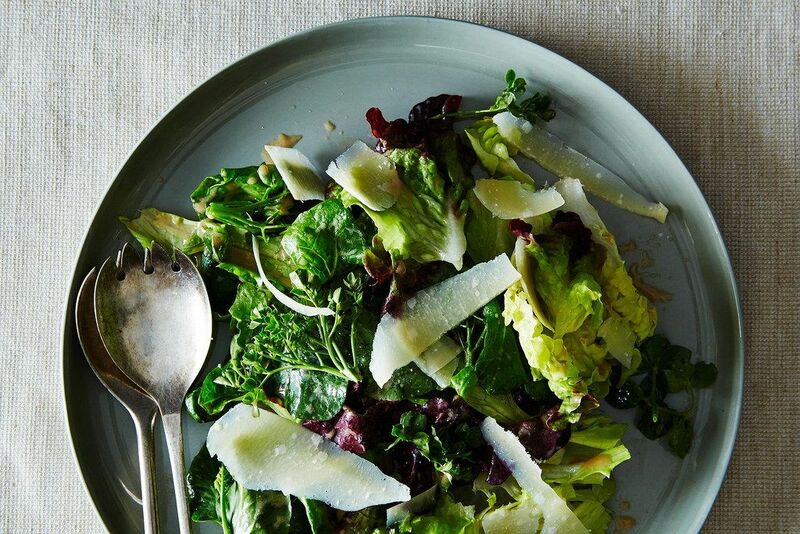 Today: How to make your salad taste like a million bucks. 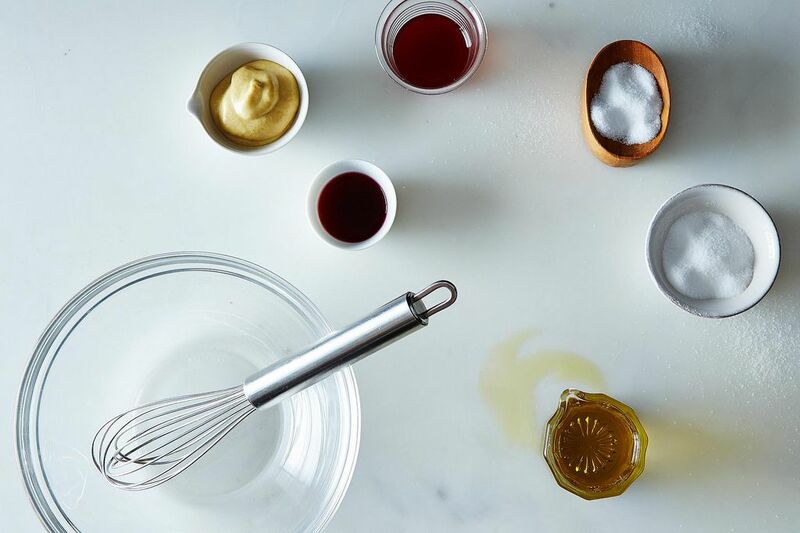 A vinaigrette is only as good as the pantry it comes from, we think: mediocre vinegar and oil beget mediocre dressing, a salad that you finish only out of obligation, a dinner you won't remember. That's only half the story though. Sure, if you have gravity-pressed olive oil and cider vinegar made from heritage apples, you are all but guaranteed a good salad. 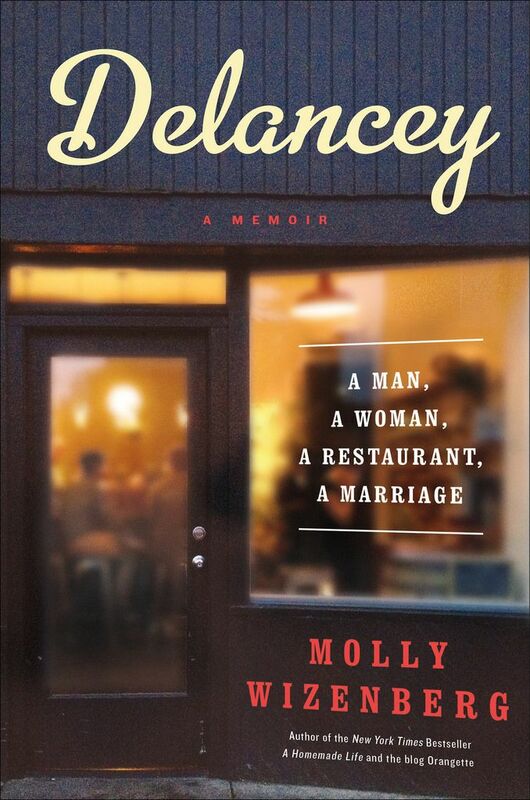 But sometimes you need to work with the pantry or grocery store that you're dealt, and you can still have a good salad -- thanks to a simple hack from Molly Wizenberg and Brandon Pettit of Seattle's Delancey restaurant (and bar Essex and blog Orangette). You don't need to buy anything fancy. You probably don't need to buy anything at all. 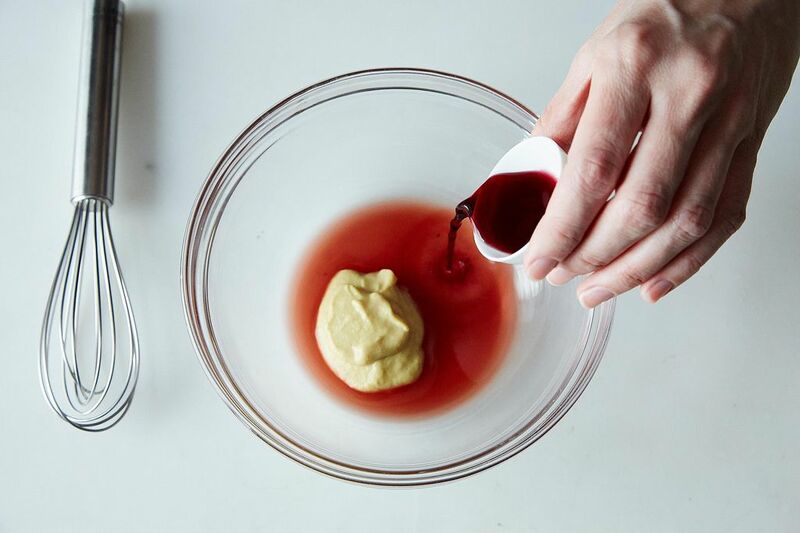 "It's just a good little trick to have up your sleeve -- especially around this time of year, when people are on vacation and staying at Airbnb houses or whatnot and find themselves with only crappy vinegar in the cabinet." Wizenberg told me. The secret? "Just pull out the dregs of last night's red wine! Voila." Yes, wine. Pettit discovered this trick after he ran out of the vinegar he'd made himself and grocery store brands didn't live up. 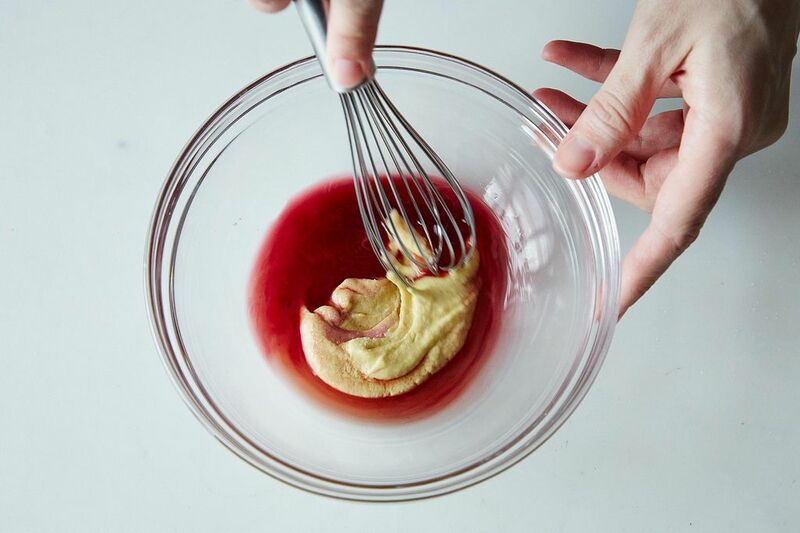 A little red wine isn't enough to make your salad taste boozy, but rounds out the rough edges, "making up for imperfections in your vinegar," as Wizenberg writes in her new memoir Delancey. More: Learn another genius trick for zhushing up balsamic vinaigrette. 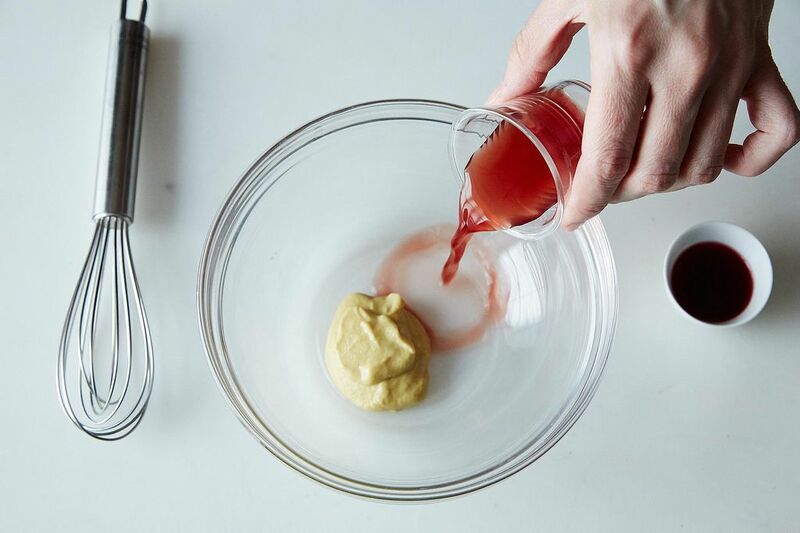 This is a good starter vinaigrette -- there's so much mustard here that the dressing practically emulsifies itself, the Dijon taking up all the oil in a big, unhesitating bear hug. And because there are no fresh herbs or shallot or garlic to turn on you, a jar of this will keep in the fridge indefinitely. 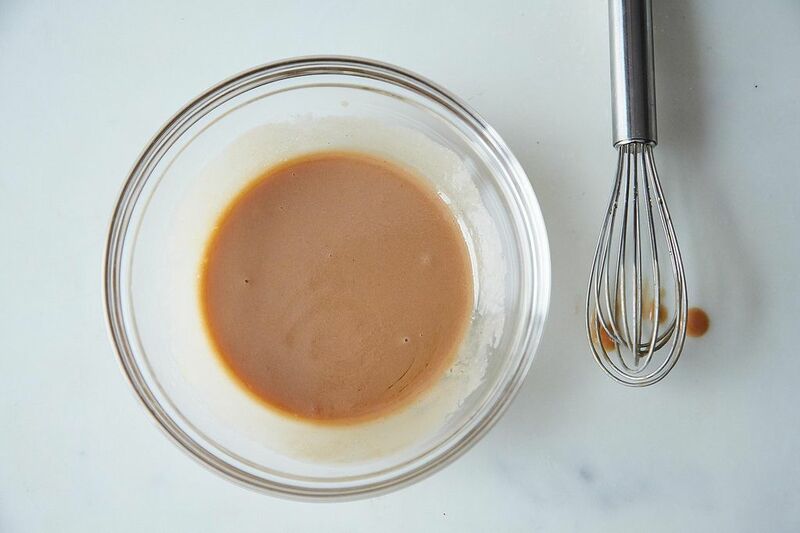 While this trick will enhance any flimsy vinegar, you do want to pay closer attention to one ingredient: Dijon can swing a lot of directions, and with this much it swings hard. That's not to say you need to buy anything particularly expensive -- but you'll have the best, most Molly-and-Brandon-like results if you use Roland Extra Strong, Beaufor, or Edmond Fallot for this recipe. More: Another genius recipe from Delancey? Molly Wizenberg's Rice Noodle Salad. But don't stop there! Pettit also likes to reinforce white wine vinegar with a splash of dry bubbly, and he wants to try apple cider vinegar and a sour beer (like Duchesse de Bourgogne) next. Hmmm...lots of mixed reactions here (and more good recipes)! I usually keep a jar of homemade dressing of one sort or another in the refrigerator but found myself without any last night and decided to give this a try. I loved it. My only change (just because it's what I had available on the spur of the moment) was to use balsamic vinegar instead of red wine vinegar. Loved the result and had it again at lunch today. I'm sure many of the suggested additions would be delicious, but this is lovely as is. Thanks Molly & Brandon & Kristen! Made this last night following the recipe exactly and it was great! 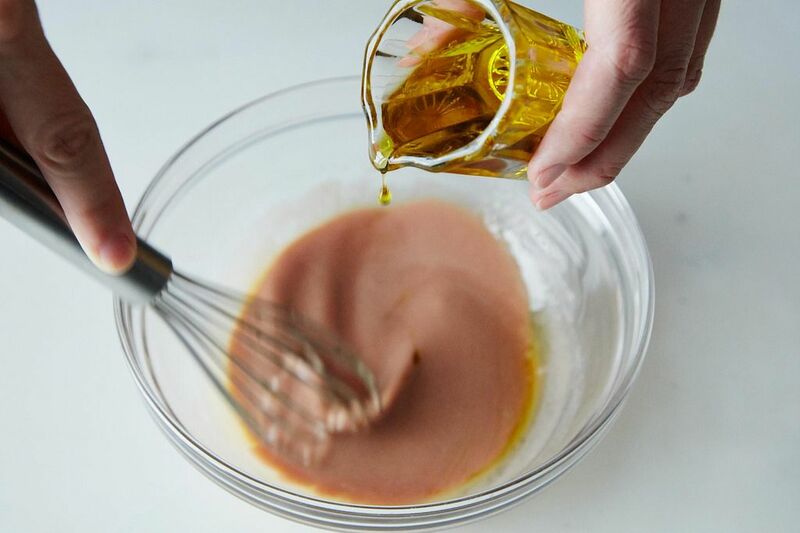 Yes the mustard component is strong, but it works well with the other ingredients, and it means you get a lot of flavor without adding a ton of dressing to the salad - which is the way it should be, right? This is definitely going to become a standby. Used 1 1/2 tbsp. of Dijon and 2 Tsp. of Ruby Red Port...amazing! I added green onions to my salad greens to compensate for lack of shallots. I agree that it is way too much mustard and some tarragon and shallots would be more desirable. The oil seems like a lot for only 1 1/2 Tbs. of vinegar but that may be because I use Bragg's apple cider vinegar that is seems not so acidic. The wine, if it is good is o.k. but can offer a bitter note in a salad dressing if it is not good quality. I do add a dash of white pepper so my dressing has a little snap to it. Personally I just eyeball my dressing and it always comes out the same. I usually only measure when baking or making a recipe for the first time and even then I tweak it. This is a fun tip! This will be great in winter when the red wine is plentiful and the fresh herbs less in evidence. Needs garlic and onions and Italian seasoning. Lots of great ideas here...including the original recipe! I think what really whips a green salad into shape, though, is a big squeeze of fresh lemon juice followed by salt and pepper and a good toss-- before the vinaigrette is added. I think a lot of folks missed the premise of this recipe - you are in a summer rental or borrowed kitchen without control over ingredients. I too would use less mustard only because I like a little, not a lot, and if the rental had a good mustard, great, but often there is only yellow paint (to use my son's term for the common yellow mustard). of adding a bit of cane sugar to this....believe me it taste so much better. omg! where are the shallots?!? For me, cider vinegar, olive oil, honey, salt, pepper, English mustard powder and a pinch of sugar. Shake together vigorously in a screw topped jar and keeps in the fridge if necessary. So quick to make I always try to make the right amount. I love how pink the end result is! I can't wait to try this, especially now that I have more reason *not* to finish an entire bottle of wine by myself in two days. I like to add fresh herbs and a little salt to liven up my salads. Is it possibile to use other vinegars (e.g. balsamic, white wine) in the recipe instead of red wine vinegar? where are you putting wine in pickles? in the process, that is! Whoops! forgot a very important detail: 1/2 cup olive oil!!! Reminds me of an old, very easy favorite dressing: 1 part red wine, 1 part lemon juice, 1 part olive oil, minced garlic to taste, S&P. Can be mixed directly in the jar and keeps like a dream. Dijon, fresh garlic, and tarragon is my favorite vinaigrette. 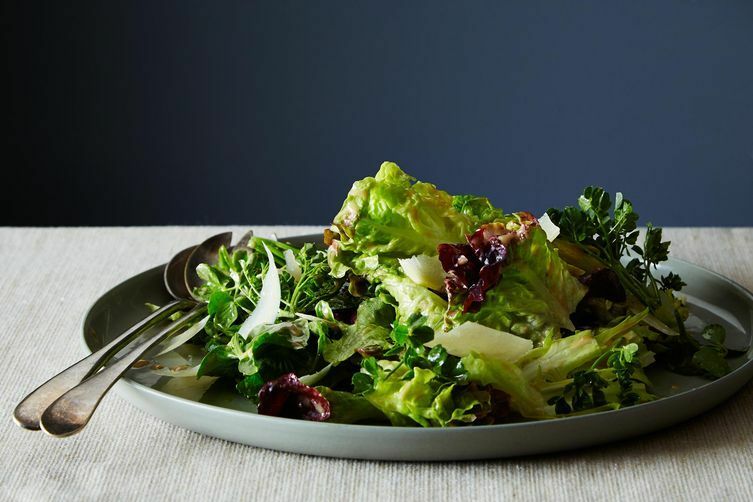 Your favorite vinaigrette reminds me of one of my favorites. Several years ago I happened to try one of Ken Hom's recipes from his East-West cookbook. I'm posting his recipe for Cold Tomato Cubes Tossed in Tarragon and Sesame Oil. What a genius he is to think of combining Asian sesame oil with fresh tarragon. It's not hard to throw together and I just love it. It always tastes as wonderful as the first time tried it.